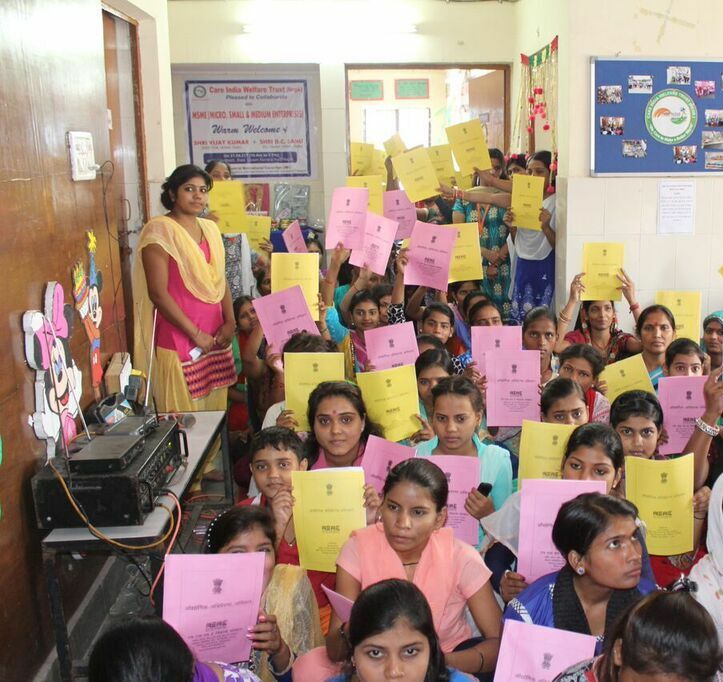 At CARE INDIA WELFARE TRUST our aim is to impart education and training to children, youth and women so that they can live a self-reliant life of dignity and respect. With this mind, we have set up several vocational training programmes across all our projects. This programmed trains the urban underprivileged adolescent youth in English Proficiency, Basic Computer Education and Soft Skills for enhancing their prospects of employment in the fast expanding retail, hospitality and BPO sectors. of the enrolled student in our livelihood project SUCCESSFULLY COMPLETED TRAINING and received certificate of accomplishment. Children and youth are now comfortable with English speaking & communicating well. increases has been seen towards Zeal for computer learning among children and youth in the local community where our livelihood project are running . POOJA'S father a mere daily wage worker works day and night to educate her daughter and make her lifebetter. 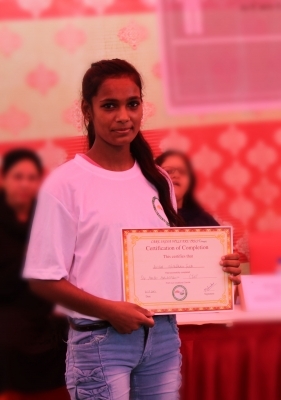 pooja has completed her 12th std from a govt school in Delhi, she has two sibling, it became very difficult for her father to support the education of all three of his daughter, by seeing her father struggling condition pooja started looking for job. I got my first job now i am happy that i can support my family all by myself HEMA grew up in a family which struggled to make both ends meet. Her father worked as a daily wage laborer, despite of being suffering from various health issue & over 50 years he goes to work every day ,hema who had seen her father struggle round the year to feed the family did not study beyond the 12 th standard and began looking for job ,But her lack of technical skills proved to be a major hurdle in her pursuits.